We have had all weathers today.. beautiful sunshine whilst walking the grounds and some energising rain whilst touring the beautiful manor house.. I have previously had the privilege to have worked at this stunning venue over several years for various events (when it was a private school) and each time including today I am taken aback by the majestic presence that this building has.. the history can be felt the energy is special and the whole venue is now in good hands! When deciding to bring AWAKENED here this year.. for me there was never any question about the suitability of the energetic alignment for the event just the practical needs to be able to deliver such an event in this location.. today we have tweaked some more and explored the grounds deeper into the logistics and the creation is evolving continuously. Exploring this stunning house always brings more and more as there is so much to offer and today has been about strengthening the original vision, laying the foundations of plans and creating even more for the event. Particularly lovely today exploring the woodland areas, camping field that we have dedicated for our weekend visitors and exhibitors. 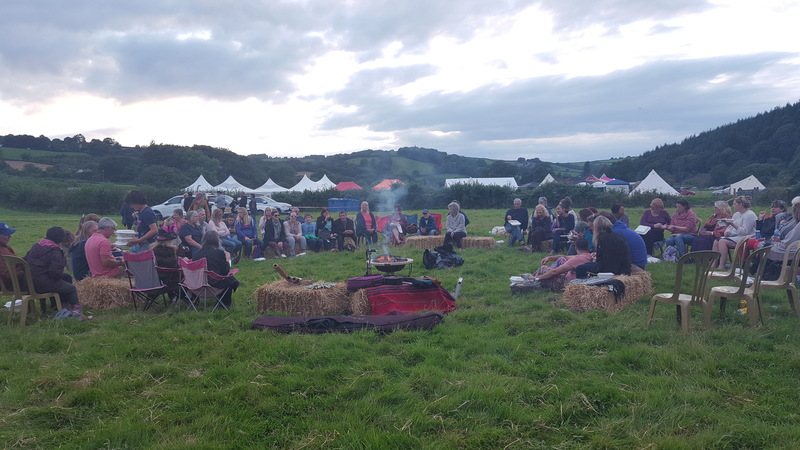 The camp fire area is set amongst the the edge of the camping area within a woodland area where we will sit and gather together for evenings of collective vibration.. sharing of company.. voice and raising vibration in unity.. (This will be for campers only so get your pitch booked early)! There is so much to be delivered and explored for this event that we can all feel the energy rising already.. a feeling of excitement prevails as we collectively work together as like minded souls to create something energetically good for the collective. Accommodation onsite.. as well as the camping field we have a great selection of onsite accommodation that will be available to book very soon.. (I will announce the release date on here). These are released as discount tickets & NO FEES to pay! The evening tickets are also LIVE and will only be sold at the event if there are places remaining. 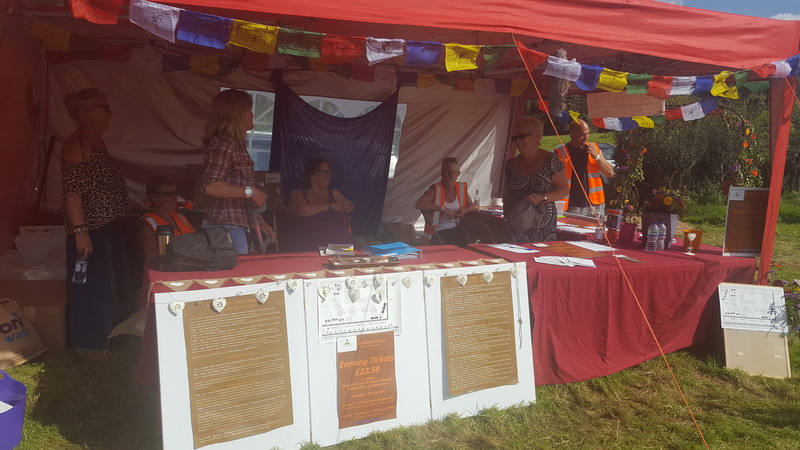 Hi everyone, I hope you are all enjoying the sunshine and festival season..
We are continuing to receive so many emails and messages to apply to be an exhibitor this year which is both mind blowing and also awareness of many resonating with the vibration of the event.. However..
As previously announced back in April after 2 very successful years the event is taking a year out this year – it will be decided at the end of this year if the event will go ahead next year for 2019 – If so it will remain as the August Bank Holiday. We have also had contact from many new visitors wanting to attend this event specifically based on feedback of previous attendees – so again this is very appreciated that the event has reached this level of being known, and I felt I should write this to clarity and reach those that may still not be aware. I look forward to connecting with you all again soon! For now enjoy eclipse season and that it brings in creation of our unique selves. We are pleased to announce that for AWAKENED 2018 we will be again supporting The Freedom centre. Last year we raised collectively for The Freedom Centre £913.86p ~ Please see below a blog of my visit to the charity a few weeks before the event.. The intention for the event was to focus on raising awareness of what this amazing charity does and how we can all help in someway just through knowing that they are there and what they do and maybe for some, to give collections of clothes, toiletries or ‘time’ to help.. Collections ~ There were also collection bins for Clothes, Food & Toiletries. After supporting the Freedom Centre last year we had liaised and met and discussed what they do and our first year we achieved good collections at the event and a few hundred pounds for the draw but I felt that I wanted to know on a deeper level and really to embrace what we could do to raise awareness and what they do on a ground level.. the only way to do this is to spend time there and be within the environment. I met with Becky who is the Freedom Centre Manager, not only does she do an amazing job but shines so brightly! her authentic and real approach is humbling. There are many areas that the charity help with, one is the continued collections of clothes, toiletries and items that they can also sell (they have a nearly new sale 4 times a year which helps raise funds and have good quality items that are sorted and sold. They also receive some regular donations of food from supermarkets which helps to keep the hot meals being provided. Starting with a tour through the sorting areas of donations.. this is an eye opener to the amount of work involved, they sort through everything from firstly what can they use.. essential everyday mens and womens clothes, sleeping bags, foods, toiletries, house hold items and more, then there are the non practical items that are also so much use to be included in the sale and the ‘new’ items with labels where they have a whole system of selling on ebay which is incredibly time consuming but brings in an income and makes use of everything in some way.. They really do work incredibly hard to make use of everything in some way and they are incredibly resourceful. They also welcome DVDs, Books, Games, Household items etc.. In another area of the centre they have industrial washing machines which again is incredibly important and they have thought of so much.. so this is essential for those living on the streets to have at least their clothes washed (they can also have a hot shower) and whereby clothes used to be thrown away with previously no facility to wash and replace, they have now a system where they can give a set of clothes and wash one so at least they others to change into. Then they also offer service washes to the public, prices are really reasonable and this also brings in some income, as they have industrial size machines they offer a duvet washing service too (which may interest several of you).. I will be taking mine there soon.. The launderette in Barnstaple closed sometime ago which was where most used to go for this service so it makes sense to help at the same time of having a paid service. The Centre then has a social area with restaurant that plays a vital role for many reasons.. providing a hot meal is of course essential in basic needs and whilst I was there I learnt of a man that hadn’t eaten for 3 days, a family were also seeking somewhere to eat, providing maybe a solution to not having a school free meal (again the difference of eating or not for some).. this centre also helps those on a low income that seriously have a choice of paying for the rent of eating. They do not encourage children, but do assist on occasion but they work closely with other services that cater for a much more suited environment for children so again referring and assisting with what is most needed. The restaurant not only provides a hot meals to be served there but offers food parcels to many that are distributed, all food is given for free and assists those that are sleeping rough, or in temporary accommodation. So for some they need food that does not require any appliance especially if living on the streets, others have a kettle or camping stove or in some form of shelter/housing so pot food/meals are essential and although this may not seem that nutritional we are talking here the difference between having something or nothing! The pot meals at least also bring warmth as they are made with hot water. Others simply are given a flask of something hot.. They are also associated with many other charities and they each work together to support each other and one avenue is that the charity now owns/been given some houses that is a great positive on many levels. They furnish the houses and provide opportunities for people to get off the streets or into independent living with support, this also integrates people and helps give maybe life skills that they either don’t have or have forgotten how to care for themselves. These house many individuals rather than one family. The Charity also has a ‘Giving Scheme’.. this is for those that want to help by donating an amount per month, this money goes into the absolute essentials to keep the charity there, I.E. Rent, Utilities etc which then can provide; showers, hot water, kitchen, meals, washing up, and the list goes on but fundamentally this is for the basic requirements for them to exist. Social enterprise.. they also have social enterprise which is based in roundswell and this gives opportunities for things like mending bikes etc to use within the charity or to sell to create money for the charity. This gives a purpose, a reason to get out of the house (if they have one) a job to do and is benefiting everyone and more importantly themselves. So who uses the Centre.. well as mentioned yes homeless people of course, those who are vulnerable, low income families but also what is the main reality check is what about those that have ‘normal’ lives.. a job, a family.. a house.. and then life chucks some curve balls and things just breakdown for whatever reason. This is not uncommon when someone goes from this to homeless.. or simply in a vulnerable situation and have nowhere to go.. where do you go? Well the answer is a place such as The Freedom Centre.. I am under no illusion how hard it must be for some to actually walk through the door and ask for help.. it can take people a long time to do this. I also realise that the way our society is going.. the more this is going to be needed.. The Awakening is shifting awareness but as the 3 Dimensional world breaks down so does segregation but the reality is that we will need more Angels such as these to assist through the process. There is no doubt that these souls are Angels in human form.. each of them are generally vibrant and seeking to help in a positive way and give their time to do so.. There are many situations that can lead to someone needing the services of the Freedom Centre and they are not always as you first assume. I also love how they are true to themselves.. to conform to the government and society to continue receiving funding they would have to shift what they do, have other ‘labels’ but they remain in their Light and know who they are and exactly what they do and who they help.. this for me is full admiration and that is why so many are waking up to support them.. they make no issues about this but embrace all that is given and they are extremely proactive on every level. The Freedom Church (separate charity) supports them considerably and were also with them at Awakened offering healing sessions. The whole concept is from unity. There is of course another aspect that I raised.. what about enabling… what is the process that we are not assisting people to stay as they are.. and what is the best way to help? the stark answer and reality at this level of support is FOOD… these souls need the basics.. and yes drugs and alcohol can be an influence but this is simply the symptom of the situation not the cause.. we all have our ‘prop’ for some it is alcohol, some it is food, smoking, work, phone, social media.. whatever allows us to escape reality..
Each soul has their own journey but what I love about this place is they are REAl.. they also have boundaries, very few instances can be classed in anyway as enabling.. why because at this level.. we really are talking about the last resort.. a place of sanctuary to get the basic requirements of living.. breathing.. kindness.. that’s it.. as simply and heartbreaking as this.. Wake up world! So all that remains to be said from me is.. Thank you to Becky and all at the Freedom Centre for all that you do and for being a part of AWAKENED Holistic Healing Event. It was an absolute pleasure to have spent this valuable time with you at the charity and an honour to have you as our chosen charity. We look forward to continuing our support and working together to raise awareness and vibration! AWAKENED 2017.. Gratitude.. to all.. The event was created in Love and Unity and as most of you will know and appreciate it takes a year of work to deliver.. all of which is absolutely the right thing to do, as it was to move the venue this year to the most beautiful peaceful location in the Taw Valley.. to continue with intention to raise vibration and to also raise awareness for our chosen charity ‘The Freedom Centre’ . Those resonating with the event have and will continue to process many vibrational shifts on many levels.. it seems the more ‘Awake’ we are the more profound these shift will have been this weekend and will continue to do so and unravel.. So many shifts and feedback again this year of what has been felt.. the catapults to move forward.. awareness on so many levels.. to know that we are collective energy and not separate.. releasing if old patterns, beliefs, restrictions.. this has been again this year for Exhibitors, Visitors and Volunteers.. some have been able to pin point what started a year ago to the AWAKENED weekend to now.. and to what continues. Everything is being shown and gives us all the opportunity now to go within and take responsibility for our own healing if we are evolved enough to do so. There are many thank you’s.. This of course includes Tina.. (my mum) who despite being unwell has assisted when possible with exhibitor bookings before hand and on arrival at The Red Tent..
○ to the volunteers that joined us onsite for the event for various shifts and others that stayed onsite with an exchange of camping, you all assisted the core team and especially those that continued with integrity when most needed to support the event and collective energy. ○ To Sika who gave his focus and energy to the event and held space for his Evening Concert, Full day workshop and Sound Journey.. mainly intimate gatherings that have had profiund healing effects for many. ○ To Patrick Gamble, Greg Smith & Karen Pryce who all held space and delivered such an amazing Sunday evening for all.. for the origional painting giveaway called ‘transformation’.. and the many nessages received. Also to Greg for delivering a 3 hour Workshop to an intimate group that have found this invaluable for their continued journey. ○ To all the contractors.. all of which we have used for again for the 2nd year.. 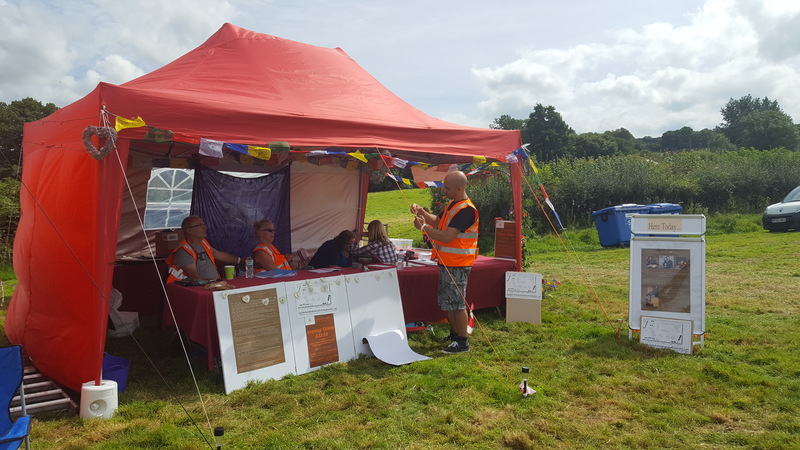 Marquee Hire, Toliet & Shower Hire, Bell Tent providers (for visitors and volunteers), Commercial Rubbish Collection (which is zero landfill) special thanks to our new printers.. as our previous ones let us down a week before the event! ○ To all the Exhibitors that without the event would not be possible.. you all resonated with the vibration and delivered such amazing vibrant stalls.. and assisted many throughout the weekend.. especially to all of you who also delivered FREE Workshops & donation Yoga and Meditation sessions throughout the Weekend. ○ A massive thank you to the caterers that were amazing in providing food thoughout the weekend when we were 2 caterers down due to unexpected injuries. 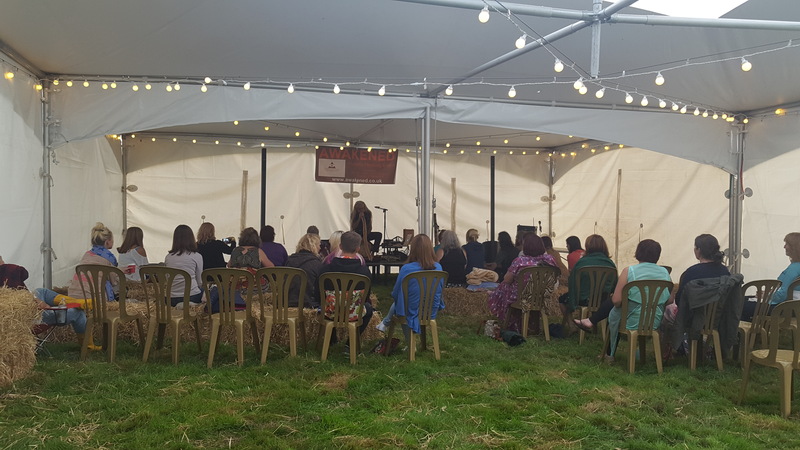 ○ To the healers in The Healing Tent that provided Reiki healing all weekend on a donation basis and to Jess who delivered the Indigo Childrens Tent. ○ and.. lastly to you.. to all of the visitors.. for all gathering and trusting in this event.. 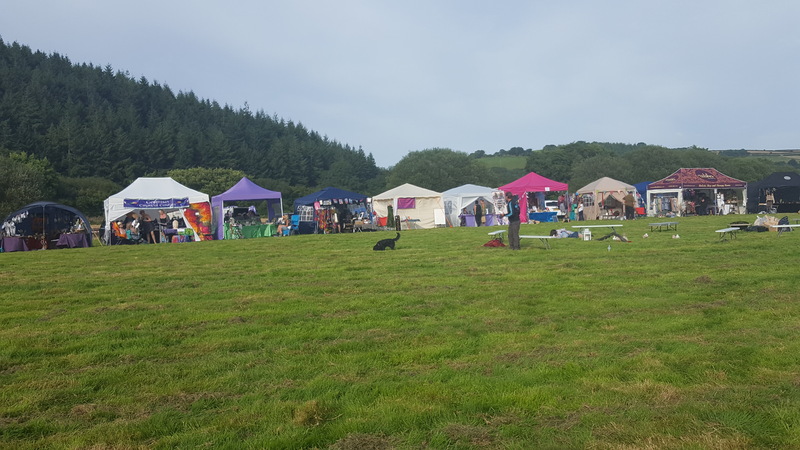 I have set the intention for AWAKENED 2018 and the dates will be for August Bank Holiday again.. each exhibitor has a form to rebook until the 1st October and then we will open up to those that would like to attend. Providing we have the continued support of the exhibitors and the visitors to want this event to proceed then I will be happy to dedicate my energy to the manefestation of another year.. the venue is happy to proceed again for another year and therefore AWAKENED 2018 will remain at Weirmarsh Farm.. everything is guided and as it should be. What a fabulous 1st day.. Sunshine.. and more sunshine here by the river in the Taw Valley. Such an amazing gathering of exhibitors, healers, therapists, teachers, musicians and so much more. Come and join us today or tomorrow.. you can pay at the gate £6/£4. 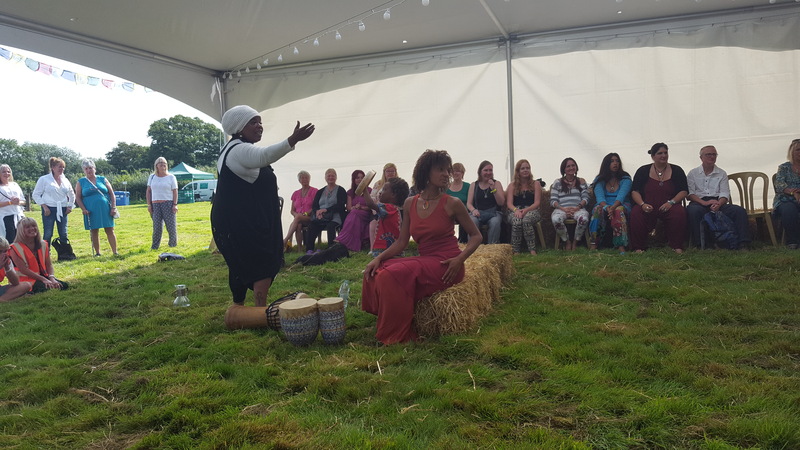 Awakened Holistic Healing Event 2017 ~ last day for Camping & Early Bird Event Discount tickets. Closes at 23.30pm tonight (21st August). Evening Tickets £23.50 (depending on availability). (No Camping without pre booked tickets).